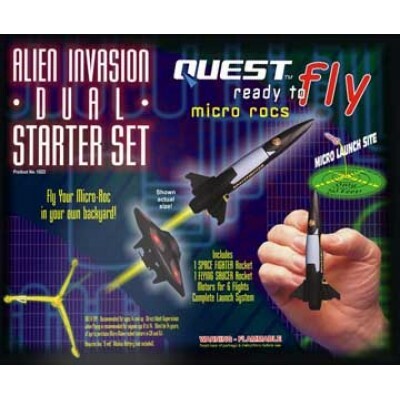 Quest Micro Rocs Alien Invasion Dual Model Rockets require only a 50 foot diameter launch site and will reach a maximum altitude of 75 feet. 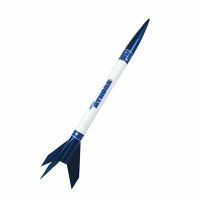 These rockets are designed for use in small areas. The kit features the Micro Maxx motor, and a streamer recovery system for easy rocket retrieval. The starter set includes 1 RTF Space Fighter Micro Roc with streamer recovery system and 1 Flying Saucer Micro Roc with tumble recovery system, 6 Micro Maxx motors with MMX-G2 igniters, Launch Pad, and Q2 Launch Controller. The only extra to buy is a 9 volt battery for the Launch Controller (sold separately). Quest Q2G2 Igniters are designed for use only with the Quest 9 volt Launch Controller. 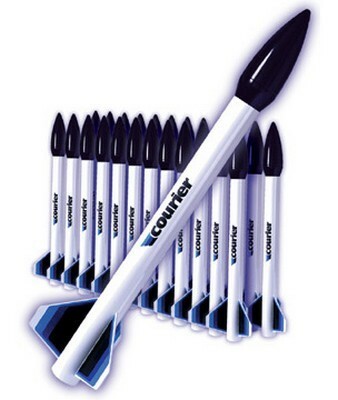 Please note that since these are very low current igniters (120ma fire current), some model rocket launch controllers can set them off during continuity tests. 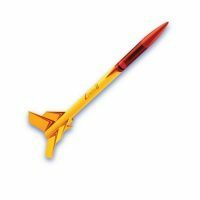 Be sure to test your model rocket launch controller, by connecting an igniter to your controller before inserting it into the model rocket engine to make sure it does not prematurely activate when you insert your safety key and/or when you perform a continuity check.